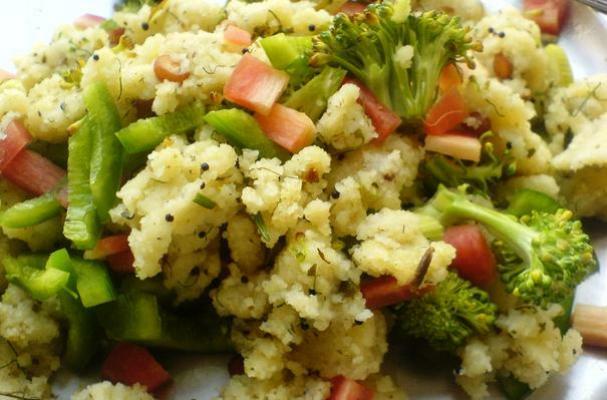 Upma is a traditional Indian breakfast made with semolina and a variety of vegetables. This thick porridge can be made a hundred different ways using the vegetables that are already in your fridge. Don't be afraid to play with the flavors; I like to add a teaspoon of curry powder for an extra kick. For a creamier upma, add a bit more water and mix in 1/4 cup of yogurt at the end.